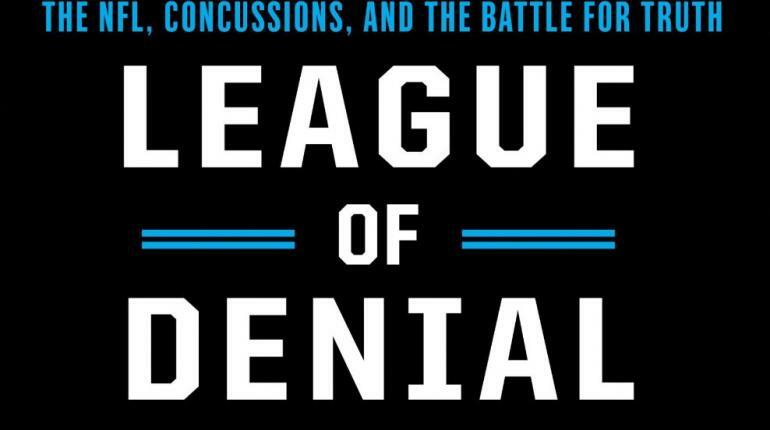 In watching Frontline’s League of Denial about what the NFL knew and when it knew it regarding the connection between football and concussions, a few items seem clear to me. The NFL clearly tried its hardest to ignore, discredit or otherwise impede the progress of scientific research done at trying to ascertain if a connection existed. In particular, the treatment and smear campaign directed to Dr. Omalu was disappointing and wrong. Some people often say, “Well, the players signed up for the risk; they know the risk when doing so.” I want to address that later in this post, but for now, I don’t think such is a sufficient rational for players of the ‘60s, ‘70s, ‘80s and ‘90s. Yes, they knew football was and is a dangerous game. That much is obvious to anyone with it being a combat sport. However, did the players know the extent and degree to which their brain could be detrimentally impacted years down the road? Did they know the type of diseases and host of other issues they could face because they played football? Given the lawsuits many players would bring forth against the NFL, as well as the overwhelming evidence produced in the documentary that the NFL tried to cover up this information, then I think it’s obvious that the players didn’t know it and the NFL didn’t want them to know it. The NFL settled out of court with those past players regarding concussions to the tune of $765 million, but in the fine print of the settlement, the NFL admits to no wrong doing or culpability. I would have preferred the case go to court to see the evidence hashed out because as it stands, that feels dirty when there is a slew of evidence indicating culpability. Moreover, taken this into consideration, some seem to think the matter is over. The NFL and the players settled and due to that case and media pressure in general, concussions are much more known and talked about than before. And in fact, the NFL has made a plethora of strides in terms of rule changes, donations to charities and other forms of outreach to make the game safer. Problem solved, then, right? Well, not exactly. The key underlining point, which some view as the future potential downfall of the sport of professional football and maybe football as a whole, is the idea of subconcussive hits. These are the hits within the natural play of the game, which do not register as a concussion resulting in being taken out of the game and receiving medical help, but rather happen in ever play. Consider, eleven giant athletes ramming into eleven other giant athletes play after play after play; these subconcussive hits are a hallmark of that. One such player mentioned in the documentary, Owen Thomas, 21-year-old, was a linemen from since he was nine. He was never diagnosed with a concussion. He killed himself. His brain was examined: he had chronic traumatic encephalopathy (CTE), the proverbial degenerative disease the doctors have associated with football subconcussive hits. The documentary says they are an inherent part of the game. To fix that would entail changing the core element of the game, which makes it not football anymore. Well. One of the doctors speculated whether every NFL player may have CTE. What if they do? What does that mean for players of the game? What about fans of the game? Should we rethink our entertainment? Should we rethink the game? The NFL is clearly not going anywhere for a while. Its popularity is greater than ever and many fans seemingly love the violence and the hits because they often decry the game as being “pussified” or reverting to flag football. Not to say nothing of the players that want to play and want to hit hard. Getting back to the, “Well, they signed up for it,” argument; I disagree. Are we, as fans (and I’m not a fan, I’m saying that for the sake of the semantics here), allowed to wash our hands because the players chose to play football and are additionally compensated millions of dollars? Are those two aspects supposed to make us feel better? Apparently, for many, it does. How was Mike Webster doing with all that money, fame and accolade he acquired in his 17-year NFL career? He cut up his football pictures, couldn’t string a coherent sentence together and was super gluing his teeth back into his mouth. And in the documentary, we get a gruesome and up close view of his autopsy. He clearly gave his body and life to the NFL. Steinberg: You’re in the hospital. Aikman: Did I play today? Aikman: How well did I play? Steinberg: You played very well. Aikman: What does this mean? Steinberg: It means you’re going to the Super Bowl. That same conversation had to happen two additional times because Aikman completely forgot having it. That shook Steinberg to the bone and me upon hearing it. That is frightening. Are we okay with that? Or do people think the rules changes will change that type of outcome? Or are there mitigating factors beyond just football such as substance or gambling abuse? The latter I find valid and some scientists on the documentary even make mention of how the link between concussions and football still could use more data to strengthen the case. That said the doctors also found cases of CTE in 45 of the 46 brains they looked at of NFL players. That’s troubling and quite the success rate. At the very least, it seems we should most assuredly not allow anyone under the age of, say, fourteen, as they recommend in the doc, to play tackle football, as not only is the game dangerous in and of itself, but the game is more dangerous to a developing young brain. Which is where many see as the potential downfall for the NFL: a bottom-up approach wherein parents don’t allow their children to play football; ergo, less and less professional players. While I’m not a NFL fan, I do watch professional wrestling. In the summer of 2007, Chris Benoit killed himself, but not before murdering his wife and child. From there, a media storm was created over professional wrestling and its wrestlers, many of whom were dying young, but of course, the focus was largely on steroids rather than brain injuries. Still, I have to wonder now, how many wrestlers have CTE or other degenerative issues in their brain from repeated hits to the head, bumps on the mat and so forth? Yes, it’s fake, but they are taking real punishment on their bodies’ day in and day out, year round. WWE has made it much safer, though, by eliminating chair shots to the head, taking concussions very seriously and recently opening up their own Performance Center, which makes training much safer than it was previously (where most injuries had actually been occurring). 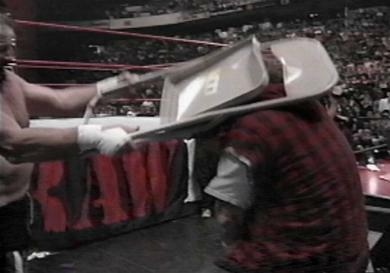 Mick Foley, known as Mankind, Dude Love and Cactus Jack when he wrestled, was notorious for taking hard bumps and chair shots to the head, unprotected. In one match alone, he took something like ten chair shots to the head. I often wonder how bad his brain is. I cringe now when I watch his old matches and see him take a hard shot to the head. He can barely walk now due to bad knees and hips, barely tie his own shoes and that makes me feel dirty. He did that for my entertainment and everyone else that watched him. That he chose to doesn’t make me feel any less dirty. Predictably, much like NFL fans, wrestling fans hated rule changes that banned chair shots to the head and turned the WWE more PG-oriented. Yet, most have gotten over it, as the product delivered, while different, is still entertaining. Likewise, while the game of professional football has been made safer by rule changes, as PBS’ “Concussion Watch” notes, there have been 53 concussions already this season. And that’s just what we know about.